You’re invited to the MVCAN Barbecue and Activist Awards Celebration Sunday, July 22. Come help us honor our colleagues and our collective successes over the past year! 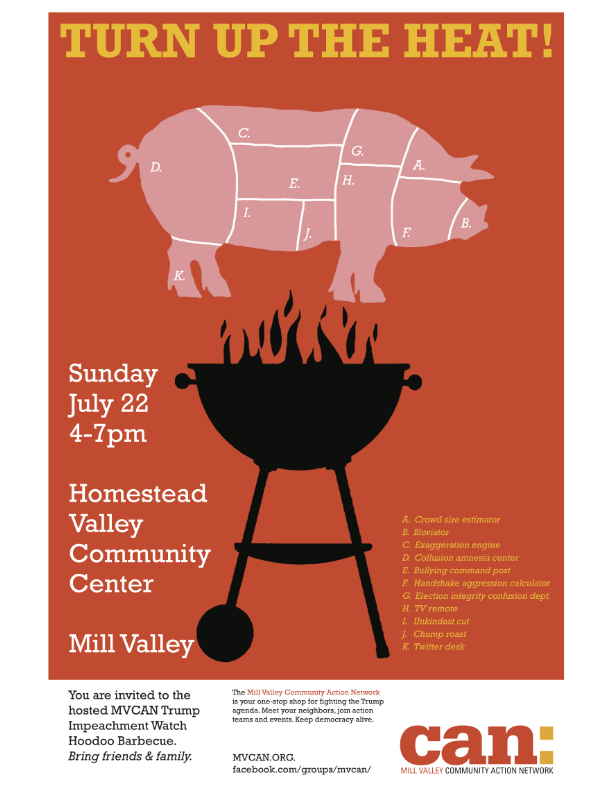 We will be BBQing on the Patio and frolicking in the Meadow at the Homestead Valley Community Center. Bring your favorite salad, hors d’oeuvre or dessert dish or just bring drinks. MVCAN will supply meat and veggie alternatives to barbecue. Please Let Us Know You’re Coming (so we can plan appropriately). Email Carol Korenbrot, carol.korenbrot@gmail.com, to RSVP and tell us who you are and what you’d like to bring. Or just bring yourself – there will be plenty for everyone! 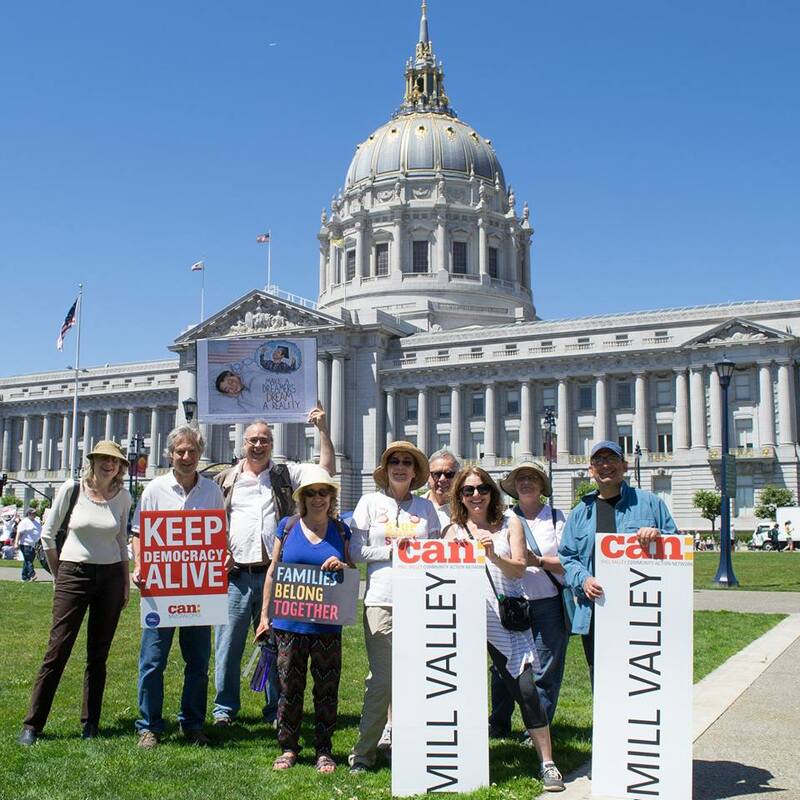 At the BBQ, MVCAN is setting the pace for Zero Waste Marin. We encourage you to bring your own reusable dishes, utensils, cups/glasses and take them home with you. Parking is limited–call a friend and carpool or bike to the event. There may be nothing more important than flipping the House in 2018. 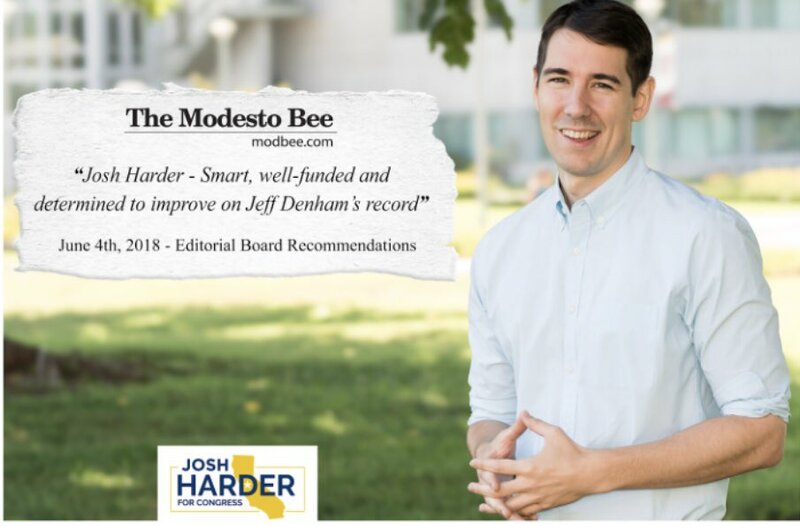 Josh Harder is running as Democratic nominee for Congress in California’s 10th District (Modesto). Suggested contribution levels for the fundraiser start at $100 for Guests and rise to $2700 for Partners Click Here to RSVP or Donate Address of the Fundraiser is provided when you RSVP. MVCAN is joining with Democracy Action Marin, Swing Left Marin and Blue Wave Marin to host this Josh Harder event. We are proud to be a co-host for the Democratic candidate in this “MUST FLIP” congressional district. We are looking for contributing volunteers, food, drinks, etc. For more information, contact Carol Korenbrot, carol.korenbrot@gmail.com. MVCAN has launched a new leadership group, the “MVCAN Midterm Task Force.” Acting in conjunction with our Electoral Team, the goal of the new Midterm Task Force is to ramp up MVCAN electoral capacity, so we can influence elections and take back the House in November 2018. We need your help with recruiting, training and coordinating volunteers over the next 4 months. Contact Debra Newton at debranewton.sf@gmail.com to volunteer. The Midterm Task Force will be contacting each and every MVCAN member to invite them to help out before November. Watch for your call or email from us. MVCAN Monthly Meeting. Photo: Fabrice Florin. 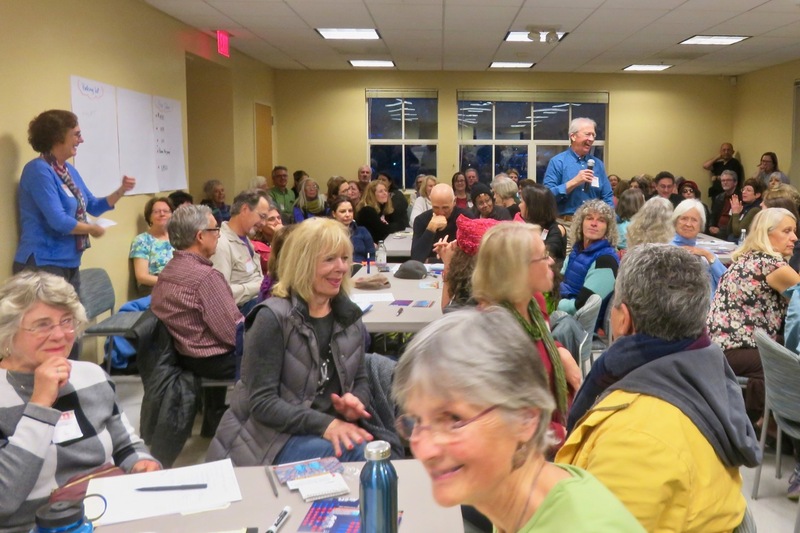 Help us launch an awesome all-MVCAN effort to mobilize in support of Democratic candidates. Meet the MVCAN Midterm Special Task Force Team for a welcome, orientation and planning. More details in the next MVCAN newsletter. Phone bankers at work in May. Photo: June Cooperman. The coalition that is forming amongst different Resistance groups with different approaches indicates that the various shades of blue that make up the Resistance can come together–both around the state and around the country, to help flip both the House and Senate in November. Our thanks to Susan Bolle and her team for maintaining an outstanding record of excellence in training for Phone/Text Banking. The Electoral Team is always assisting where needed and smoothing the way for a gratifying volunteer experience. The Electoral Team’s experienced leaders are always on hand to help guide you through the process and if you're new to calling or texting voters, they will teach you step-by-step. They will be calling for California Congressional candidates in the flippable Districts. 1334 4th Street, San Rafael - No need to sign up. For more information, visit the MVCAN Electoral Team page or the MVCAN Phone/ Text Bank page. 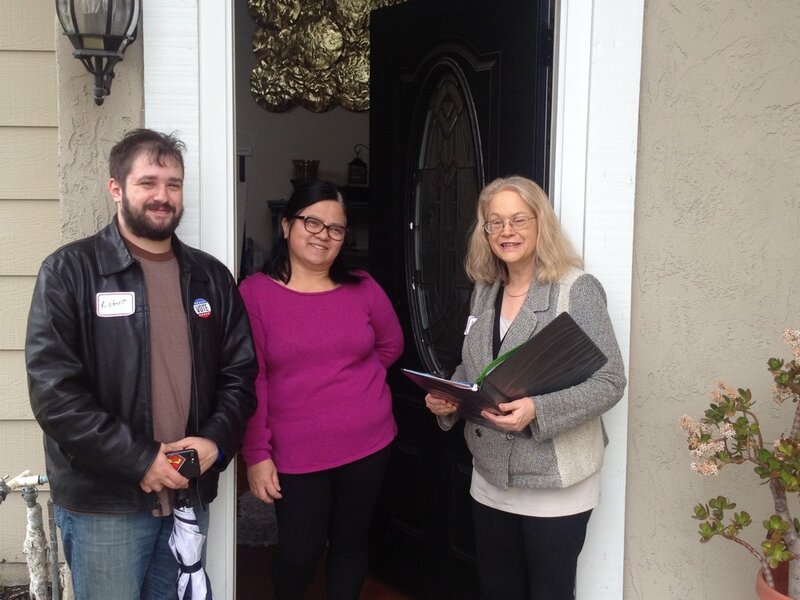 MVCAN members Robbie Gribble and Annie Cooperman canvassing in Tracy, CA. Join MVCAN members who canvass for Josh Harder in conjunction with Swing Left Marin and the Greater Tracy Democrats. 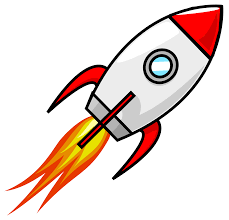 You don’t have to have done it before–training and an experienced partner provided. Email Larry Litvak (llitvak@aol.com) about carpooling to Tracy. June Cooperman, Carol Korenbrot and Berta Segall McDonnell at the Larkspur/ Corte Madera July 4th Parade. Photo: Lynda Cornejo. MVCANers and other local grassroots groups joined Rep. Jared Huffman’s parade entourage in the Larkspur/ Corte Madera July 4th Parade for the second year in a row. 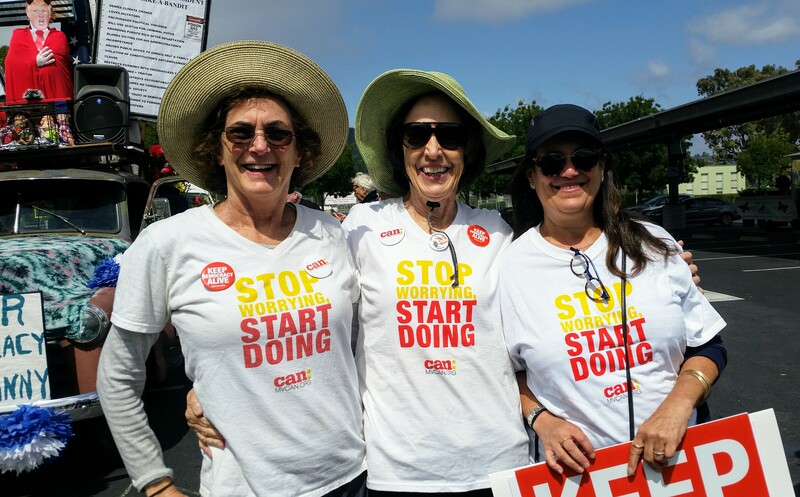 We had a terrific time marching, dancing and spreading the word about MVCAN! Congratulations to our friends at Tam Makers for winning the award for best Adult Motorized entry in the parade. 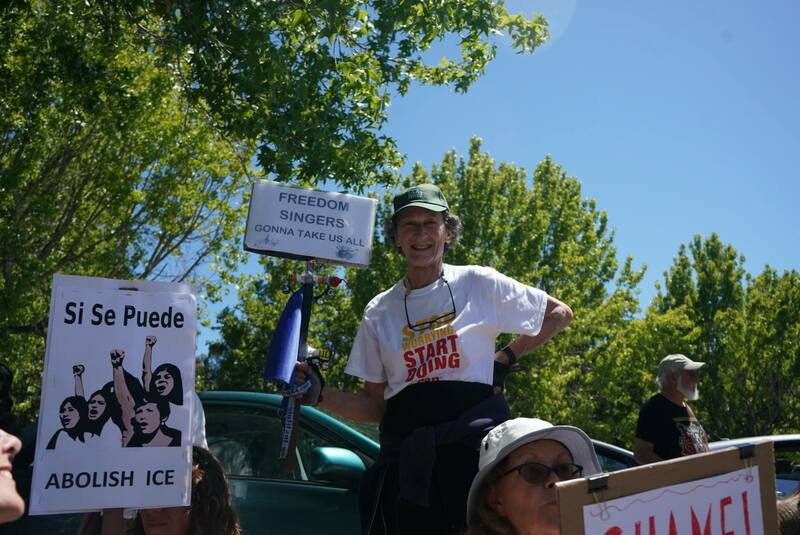 MVCANers were also out in force for the nationwide "Families Belong Together" Marches and Rallies on June 30. We were well represented in San Francisco, Fairfax, Petaluma, Richmond and elsewhere. 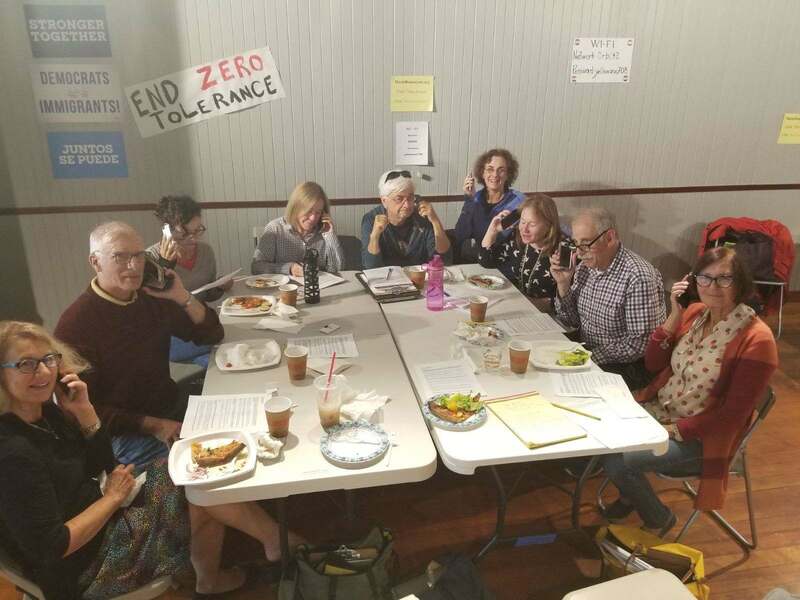 Multiple members returned from the march/rally to make calls and texts to voters in key districts. MVCAN members at the San Francisco "Families Belong Together" March and Rally. Photo: Suz Lipman. 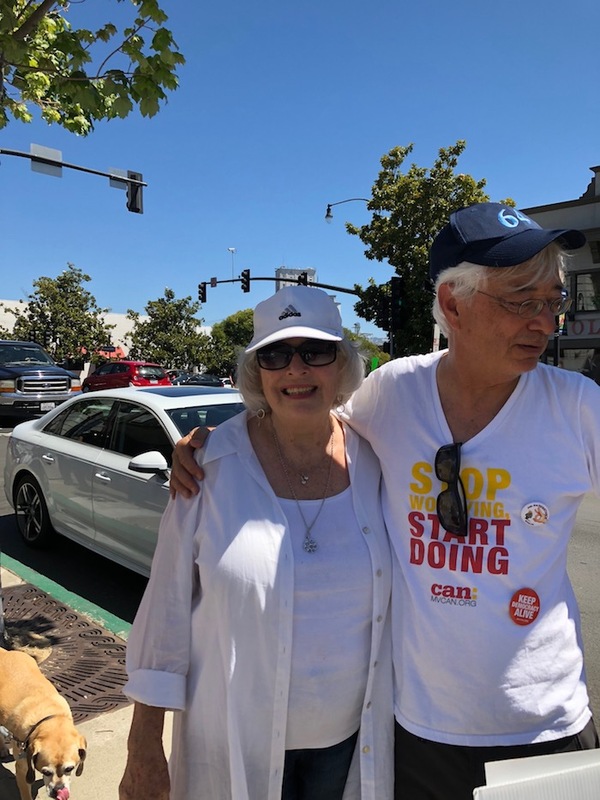 MVCAN's Bernard Catalinotto with former Rep. Lynn Woolsey at the March/ Rally in Petaluma. Photo: Roberta Catalinotto. MVCAN's Marilyn Price at the March/ Rally in Fairfax. Photo: Martha Ture.